The AT45DB161E is a serial-interface sequential access Flash memory ideally suited for a wide variety of digital voice, image, program code and data-storage applications. 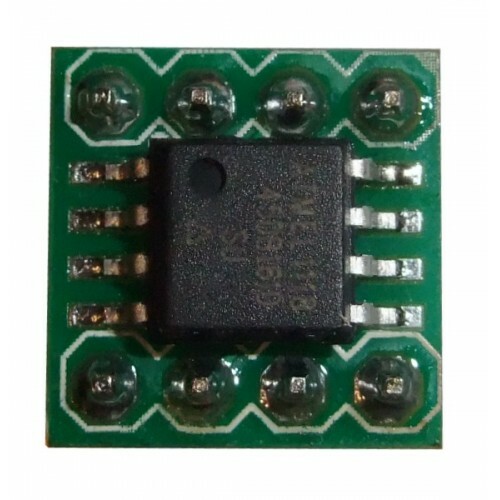 The AT45DB161E uses the serial SPI interface at frequencies up to 66 MHz. Its 17,301,504 bits of memory are organized as 4,096 pages of 512 bytes or 528 bytes each. 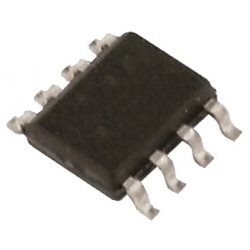 In addition to the main memory, the AT45DB161E also contains two SRAM buffers of 512/528 bytes each. The buffers allow the receiving of data while a page in the main Memory is being reprogrammed, as well as writing a continuous data stream. EEPROM emulation (bit or byte alterability) is easily handled with a self-contained three step read-modify-write operation. Unlike conventional Flash memories that are accessed randomly with multiple address lines and a parallel interface, the DataFlash uses a RapidS serial interface to sequentially access its data. The simple sequential access dramatically reduces active pin count, facilitates hardware layout, increases system reliability, minimizes switching noise, and reduces package size. to 3.6V, for both the program and read operations. 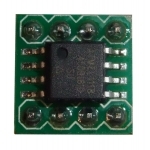 The AT45DB161E is enabled through the chip select pin (CS) and accessed via a three-wire interface consisting of the Serial Input (SI), Serial Output (SO), and the Serial Clock (SCK).